For some reason I was feeling like a full blue uniform was necessary for today. I can’t really explain why, but I do know that I had that song stuck in my head all day… which in turn caused me to be in a sort of weird mindset where I came home legitimately thinking it was Friday. Umm, wrong. Goodness, I definitely have Friday brain. 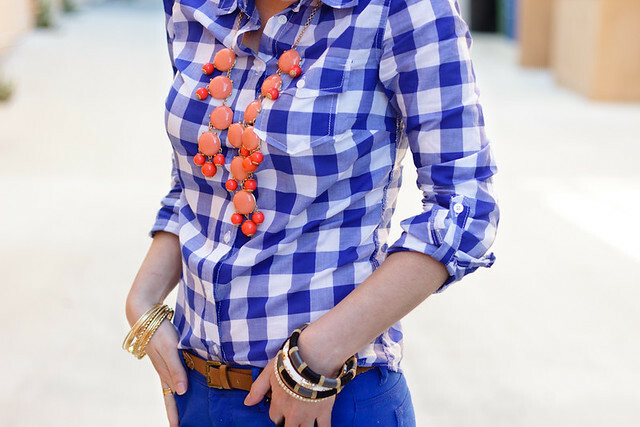 love this outfit - the coral and blue looks awesome together! and in the first picture you're much more spritely than lumberjacky. i appreciated your description about the first picture. : ) LOVE this outfit - so cute! 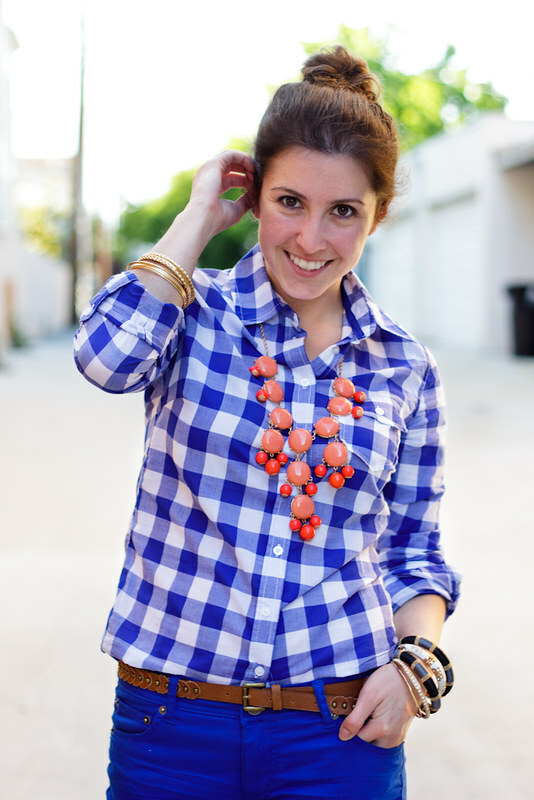 LOVE the blue hues with the coral necklace! Perfection! what a great outfit! the blues are so great together ... and with the necklace and brown shoes! just love the whole combination! LOVE this outfit (and that first picture). And especially that necklace. absolutely in love with every single piece of your outfit my Dear!!! 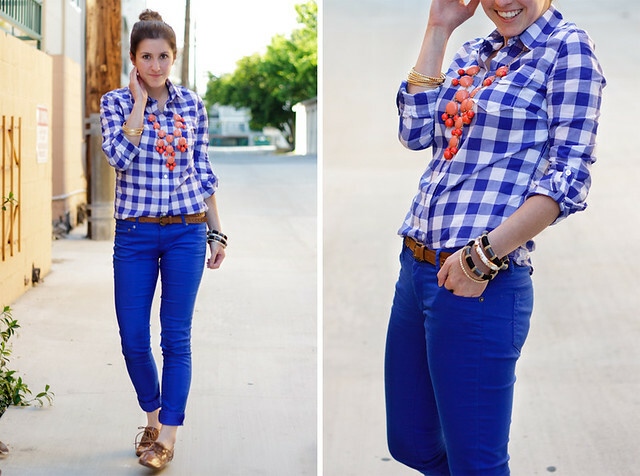 love the Oxfords, shirt and necklace!!! fabulous combination!! !